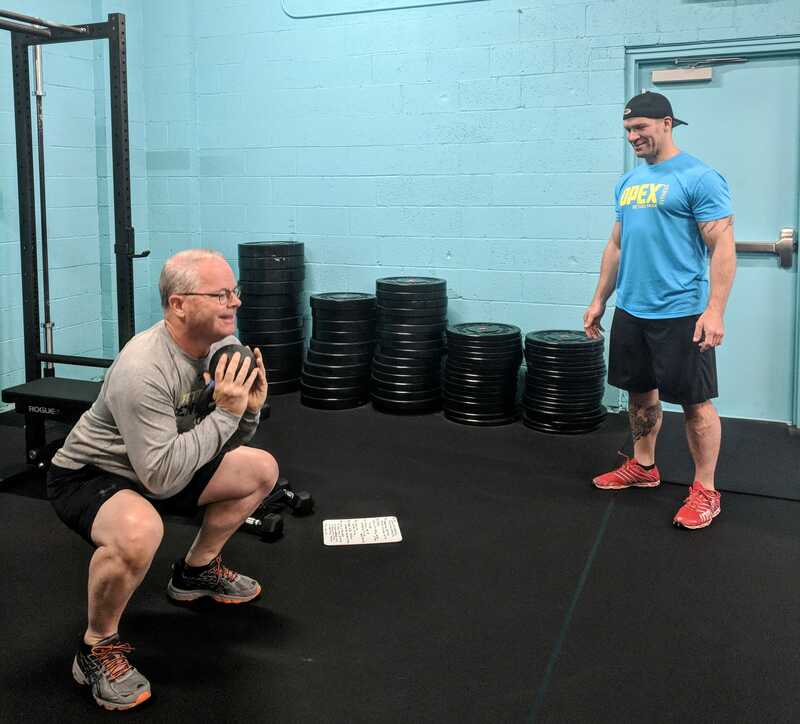 At OPEX Bethel Park we take great pride in what it means to be a ‘coach’; we are dedicated to honoring the hard work and commitment it takes to be a Professional Coach. Our coaches are individuals who believe in the coaching profession and their mission to change the lives of others through fitness. At OPEX Bethel Park we believe a coach is someone who cares deeply about their craft, who shows empathy for their clients, and who is a leader in sharing their education, methods, and best practices for helping their clients. A real coach KNOWS their client; they know their strengths, weaknesses, imbalances, WHY they show up, occupations, lifestyles, names of their children, goals, fears, and most importantly, a coach knows what he or she doesn't know. For this reason, a coach is consistently evaluating the journey of their clients in order to challenge them every day, while also providing the support and guidance they need each to create progress for a lifetime. This is what it means to truly coach another individual. This is how our coaches separate themselves from the rest. Our Professional Coaches must go through the OPEX Coaching Certification Program which is a year-long commitment that requires persistence, dedication, practical application, and difficult tests/case studies in order to pass. Not only do our coaches consistently educate themselves, they also practice the methodologies that they preach on a daily basis. Each of our coaches has their own professional coach to guide them on their journey in fitness and life. Our coaches put in the time and effort that is required to provide the highest quality fitness service. They lead by example. If you're ready to get a coach who is as committed to your progress as you are and want lasting results that come with that, contact us to set up an appointment with a Professional Coach and see the difference that having a coach makes. You won’t regret it.